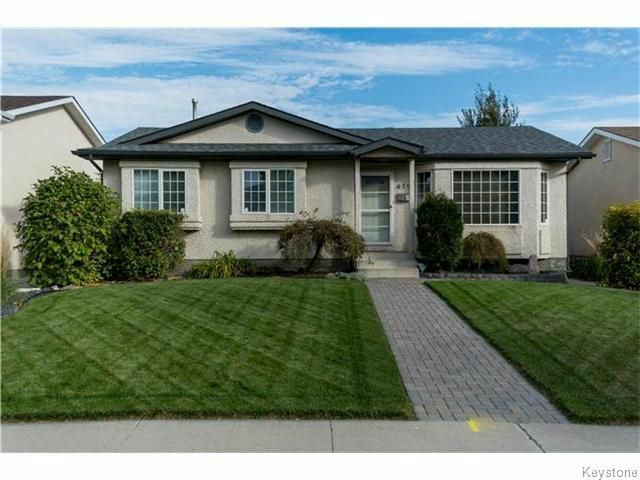 This extremely well cared for bungalow is ready to find it’s new owners! With over 1200sf of main floor living space this 3 bedroom, 2 bathroom bungalow is loaded with impressive updates and features; a large south facing bay window allows in loads of natural light that bounces off of the family room’s vaulted ceilings, in the kitchen find ample storage space with a full pantry wall, gleaming corian countertops, newer luxury vinyl flooring and patio doors that lead out to your massive two tiered deck - perfect for entertaining. The fully developed lower level of this home features an office space, currently used as a spare bedroom, a full bath, laundry room and a very spacious rec room. Other features include new shingles, eaves and soffits in 2015, a new HWT 2013, an oversized 24' x 24' garage and more! Located close to all levels of school including UofM. Available for a quick possession, move in before the snow flies.